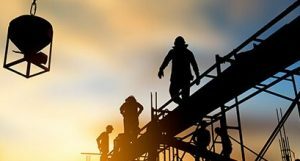 Millwrighting and Rigging Services in PA | Tuckey Metal Fabricators, Inc.
Moving or reconfiguring the layout of a commercial or industrial facility is an arduous task — a lot can go wrong during the process, such as damage to your equipment that can prevent it from functioning correctly upon reassembly. With a combined half-century of metal fabrication experience at our disposal, you can count on Tuckey Metal Fabricators, Inc. to deliver precision millwright and rigging services in PA that will ensure a fast, efficient project outcome. We’ll do everything possible to minimize disruptions to your normal operating processes. Agility is the defining characteristic of our millwrighting and rigging services. We take pride in our ability to respond quickly and precisely to our clients’ requirements. 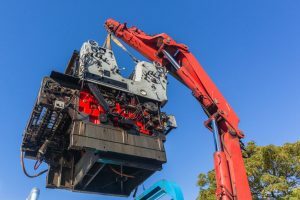 Whether your project entails relocating machinery to a different area of your plant or changing the entire layout of your facility, we will focus on delivering custom results for complex turnkey millwrighting and rigging jobs even in active plant situations. 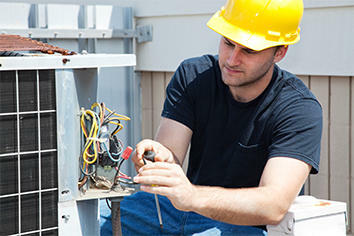 Our goal is to protect and maintain the integrity of your equipment every step of the way. We’ll take the time to pre-plan every aspect of your millwrighting and rigging project to ensure the customized results you expect. A project typically begins with a walk-through to help us identify your project’s unique requirements and get a better sense of what the job will entail. We’ll then submit a comprehensive, targeted plan for your approval. Once you give us the go-ahead, we’ll get right to work while always keeping your project’s unique specifications in mind. While many rigging and millwrighting contractors in PA may have a one or two millwrights working as a secondary department or on freelance work, Tuckey Metal Fabricators features an expanded staff of field mechanics and experienced millwrights who are the best in the region. That means we’re able to perform jobs that are beyond the scope of smaller shops. And while some contractors focus on selling products, we believe that providing exceptional service is paramount for optimizing project results. 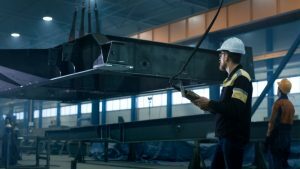 The skill and experience of our millwrights combined with the capable guidance of our professional management team allow us to execute all types of jobs with speed and precision. Examples of our work include industrial equipment moving, mechanical erection, paint booth installation, and material handling system installation and maintenance – to name just a few. Contact us for a no-obligation project estimate today.